Considering getting a Flat Coated Retriever? The Flat-Coated Retriever is a gundog that originated in the UK in the mid-19th century. It is bred to flush out both land and water live games, gaining popularity as a "Gamekeeper's Dog." Easy-going and cheerful, the Flat-Coated Retriever is a wonderful family companion. This breed is an outdoor dog and will enjoy hours of playing fetch. It is not the best choice for people with sedentary lifestyles. The Flat-Coated Retriever is ideal for active families who engage in a moderate amount of outdoor activity. If the description matches your personality and lifestyle, read on to learn more about this dog's background. Due to the Flat-Coated Retriever's bouncy nature, the earliest of its breeds was a dog called Old Bounce. Old Bounce was the first dog that provided its owner, a gamekeeper named J. Hull, a strain to develop Flatcoats in 1864. However, much to J. Hull's dismay, the people primarily credited to the breed's development were S.E Shirley and H.R Cooke, whose work developed the stable, fine field and show Flat-Coated Retrievers we see today. Flatcoats were the most favoured hunting dog through the end of World War I until Labradors, and Golden Retrievers stole the Flatcoat's accolades. With this decline in popularity, Flatcoats also declined in numbers. In mid-1960, a few of the breed's enthusiasts were able to save it from the brink of extinction, but sadly it never regained its lost popularity. Flat-Coated Retrievers is, until this day, a rare breed. Reports claim that the number of puppies bred and registered with The Kennel Club is slowly on the rise as more people recognise the breed's charming and hardworking personality. Flat-Coated Retrievers are splendid sporting dogs with a shiny black coat, albeit they also appear in dark liver colours. This breed is considered a large dog, standing 56 to 61 centimetres at the withers and weighing 55 to 70 pounds. It is lean, athletic and highly energetic. The head is nicely formed and is defined as "of one piece." It has a flat skull, and the back part is about the same length as its muzzle. Its eyes are almond-shaped, either hazel or dark brown in colour, with an intelligent and friendly expression. The ears are well set, relatively small, pendant-shaped and lying close to the head. This breed must be angular from the front and rear to allow for open and graceful movement. Flatcoats are outfitted in a thick coat that is straight, flat and moderate in length, able to protect the breed from water and the harsh weather. Its coat is slightly heavier around the neck while there is feathering on the ears, chest, front, thighs, backs of the forelegs and tails, but should never be excessively long. Flatcoats come in solid black, liver or deep reddish brown colours. Since Flatcoat Retrievers have medium to long coats, they need to be brushed daily to avoid matts and tangles from forming most particularly when they are shedding. Also, don't forget other grooming regimens aside from coat care. Trim its nails at least once a month to avoid painful overgrowth and getting your shins scratched. Ears must also be cleaned with a soft cotton moistened with a vet-approved solution to prevent infection. Brush the Flatcoat's teeth at least twice a week to remove tartar and bacteria that may develop into an infection. An intelligent and compliant breed, the Flatcoat responds well to training. The dog breed is also active, bouncy and goofy, making it a great companion for owners with an active lifestyle. If given adequate exercise, the Flat-Coated Retriever should not exhibit negative habits such as unnecessary chewing and barking. The Flatcoat will shower its family with affection. It is also sociable with strangers, which makes it a poor watchdog. And it is not only friendly with strangers, but also gets on well with other household pets, including cats, despite its history of being an all-around hunting companion. It is very friendly with active older children but can be overwhelming for younger children. It is important that any interaction is supervised by an adult to avoid Flatcoats from accidentally knocking them over. Flatcoats need enough space to move around, whether indoors or outdoors. These dogs are a great choice for new owners because they are easy to train and eager to please. Owners must also take note that Flatcoats are high maintenance when it comes to its exercise needs and will require a lot of mental stimulation to become happy and well-rounded. A typical serving for an adult Flat-Coated Retrievers is 3.5 to 4.5 cups of premium dry dog food daily, split into two meals. The quantity of food and the frequency of feeding for the Flatcoat will largely depend on its age, weight, metabolism, level of activity, and health factors. It is best to consult with a veterinarian first if you are in doubt about its nutritional needs. Flat-Coat Retrievers are large and active dogs that require nutrition to support muscle growth. It is highly recommended that their diet consists of high amounts of protein such as raw meat. The Flat-Coated Retriever is generally healthy and lives up to 10 years. 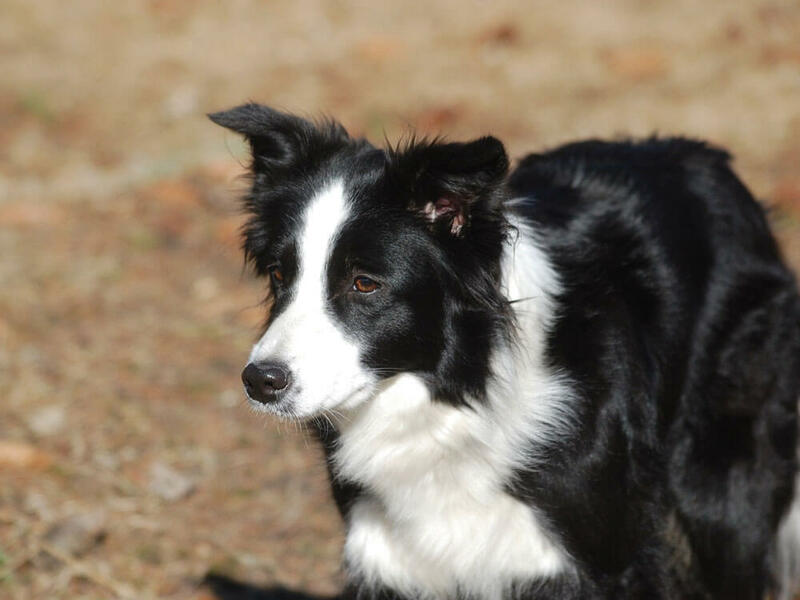 In comparison to other breeds, it has a low incidence rate of Hip and Luxating Patellas. They are more prone to develop some types of cancer such as Hemangiosarcoma, Lymphosarcoma, Osteosarcoma, and Malignant Histiocytosis. Bloat is also a cause for concern for this breed, as with other large breeds. Flat-Coated Retrievers have a lot of energy to spare, so it is important that it is given enough time to let off steam and use up its energy either playing or working outdoors. It will require 60 to 90 minutes of daily exercises. As it is with all active dog breeds, Flatcoats will likely escape if given a chance, so make sure that any outdoor activities are done inside the confines of a well-fenced backyard. The cost to own a dog in its entire lifespan is not easy considering it will become a member of your family. While you can't put a price on the joy and companionship that a dog will bring into your life, you don't want to reach a point where financial hurdles will force you to give your dog up. Before you go and buy a Flat-Coat Retriever, you must organise your financial priorities first and think if you can afford to raise the dog at all. If you have no inkling as to how much it will cost you, below is a rough overview of the expenses. The puppy price for a purebred is £700 to £800. Pet insurance will help defray costs for medical care and will cost around £20 to £50 a month. Regular preventive care through veterinary consultations will cost you at least £1,000 annually. Food costs for premium, breed-specific dog food is somewhere around £50 to £60 a month. So how much does it add up to on a monthly basis? Roughly, owning and raising a Flat-Coated Retriever will cost you £80 to £120 a month, depending on the level of insurance coverage. Is a Flat coated Retriever Right for You? The Flat-Coated Retriever is an affectionate, playful and friendly dog breed. It is suitable for first-time owners provided they comply with its exercise requirements. This breed is also sociable with strangers and other household pets. It has a glorious shiny coat that needs daily brushing. It is a large dog and will need enough space to move around.